Deciding on making brownies or cookies? Don’t know what to bring to that party this weekend? 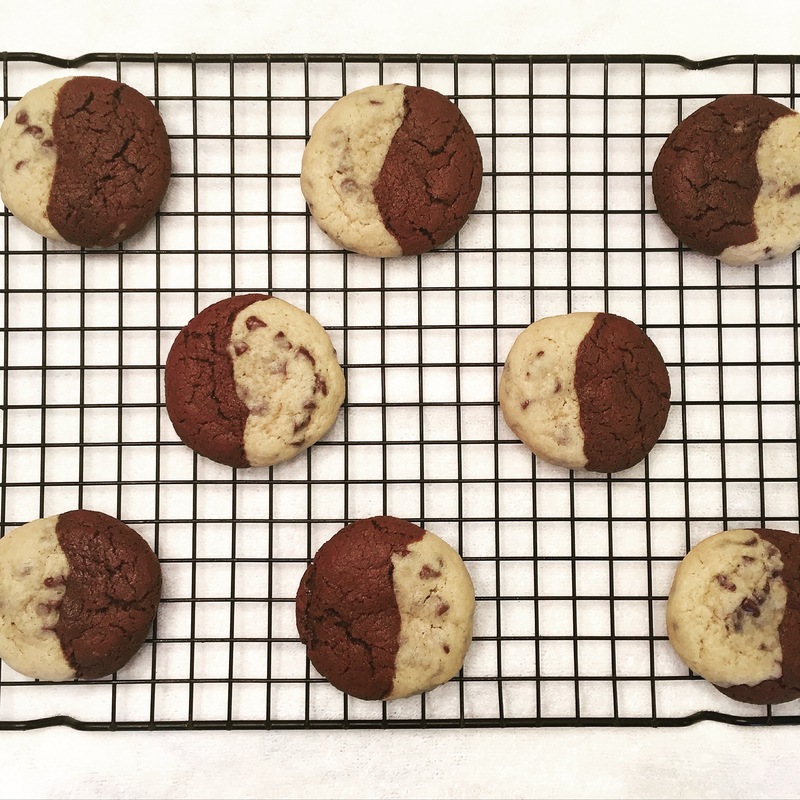 Introducing… Brookies. The brownie chocolate chip cookie. My favorite cookie right now and probably what I’ll be bringing to all my 2016 gatherings. They are so pretty and so delicious! Plan accordingly, though because they do take more time to make than a typical cookie. You have to make two different doughs, but it’s worth it! So, so worth it. I also love the chocolate chip cookie dough recipe and may make regular chocolate chip cookies using it. Anyway… go get your aprons on and let’s start baking! First, make the brownie dough. In a bowl, whisk together the flour, cocoa powder, baking soda and salt. Set aside. In another large bowl, beat butter with both sugars until smooth and creamy. I just used a hand mixer and it worked great. Beat in egg, yolk and vanilla and beat until well combined. Add in flour mixture until dough forms. Cover with plastic wrap and place in the fridge while you make the cookie dough. To make the cookie dough, whisk together the flour, baking soda and salt. Set aside. In another large bowl, beat butter and both sugars until smooth and creamy. Again, I just used the hand mixer. Add in egg, yolk and vanilla and beat until well combined. Add in flour mixture until dough forms. Stir in chocolate chips. Cover with plastic wrap and place in fridge for 30 minutes. Preheat oven to 350 degrees Fahrenheit. Take out both doughs from the fridge. 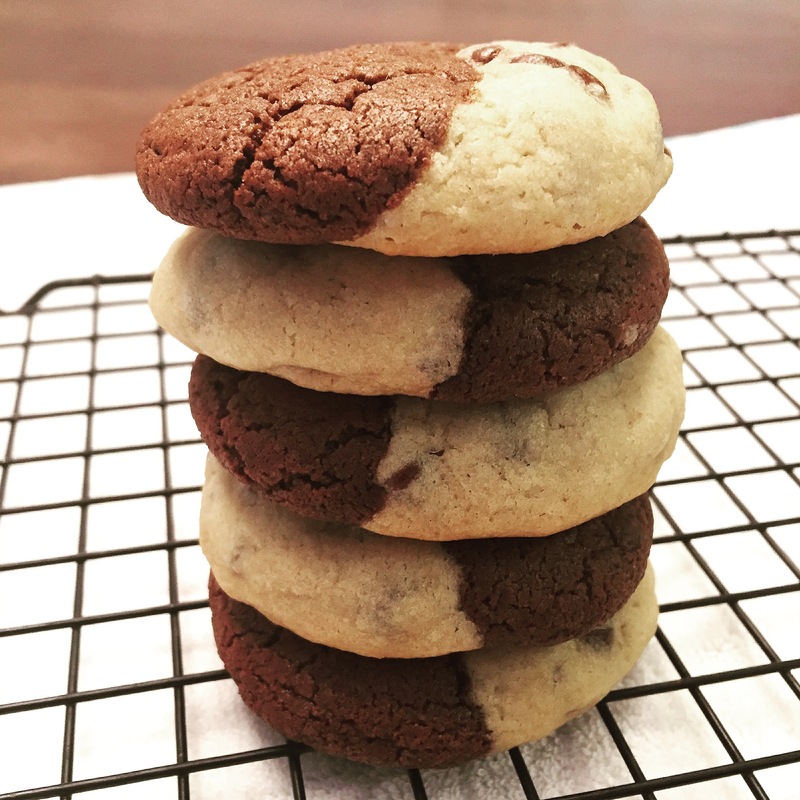 Depending on how many cookies will fit on your cookie sheet, portion both doughs into small balls. I made 8 cookies at a time so I made 8 brownie balls and 8 chocolate chip dough balls. Press together a brownie ball and a chocolate chip ball and roll together. Place on prepared cookie sheet and gently flatten the cookie. 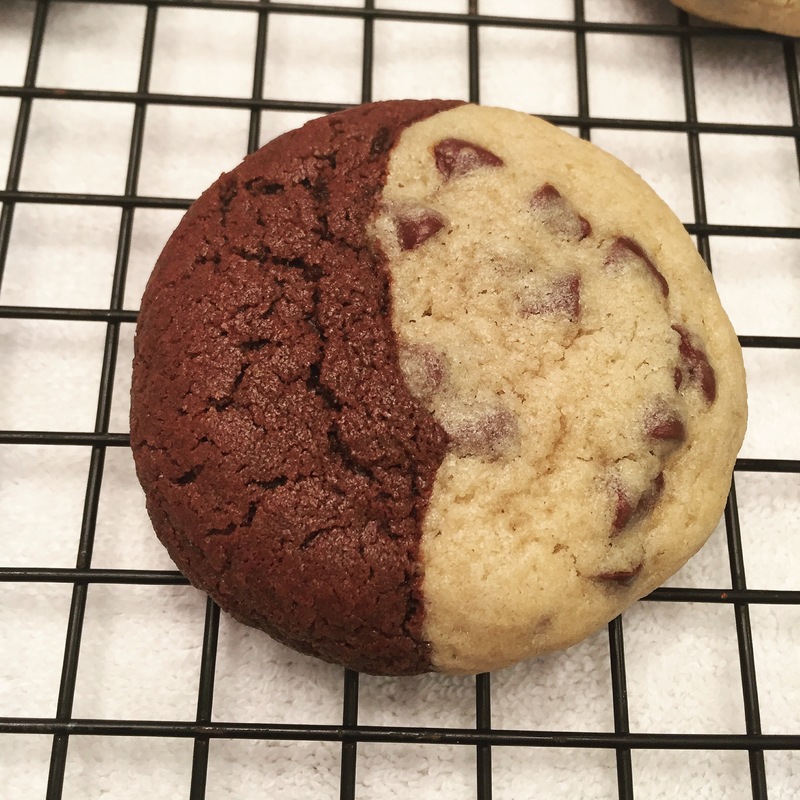 Make sure one side is brownie, the other is chocolate chip. Bake for 8-10 minutes. Refrigerate any remaining dough until ready to use again. Let the cookies rest on cookie sheet for a minute before transferring to a wire rack to cool completely. Enjoy! Yield: About 4 dozen cookies. Perfect for sharing!